Whether discussing “The Boy in the Striped Pajamas” in literature class or performing “Gangnam Style” at the Taste of Culture, Shikou Tamai, an international student from Kobe, Japan, is making the most of his year at Saint Martin’s, immersing himself not only in the English language but also in American culture. An economics major at Kobe International University, Tamai chose to study abroad at Saint Martin’s because this allowed him to stay two semesters; also, he “admired America” and wanted to experience American culture. Looking back, Tamai describes his initial Saint Martin’s experience in the fall as “pretty good.” He likes what he calls the “comfortable” climate here, as opposed to the humid climate of Kobe, and describes Saint Martin’s as “huge” in comparison to Kobe University. At first Tamai felt uncomfortable speaking English because the English he heard was spoken quickly. Often, he would have to ask people to repeat sentences. Since his arrival at Saint Martin’s, Tamai has noted some key differences between American and Japanese cultures. One of these differences is that American students “focus on studying” and “focus on friends.” Tamai describes this style as efficient and one he would “like to emulate.” In Japan, he claims that students either focus on studying or focus on friends, creating an imbalance. Another one of the key cultural differences that Tamai notices is the friendly environment. At Kobe University, Tamai notes that students generally “avoid strangers,” whereas, at Saint Martin’s, he is often greeted on his way to class. One of Tamai’s favorite classes is literature, taught by Michael Shohan, who inspires students to think deeply about novels such as “The Boy in the Striped Pajamas.” Tamai notes that in Japan he was used to sitting and listening to lectures, absorbing as much information as possible. At SMU, he explains he is actively engaged in thinking and participating throughout class. “It was my first time performing in front of many people,” he says. When he returns to Japan to finish his economics degree and pursue a career as a city manager, Tamai says he will encourage others to study abroad. “Many are afraid of going overseas,” he explains. Tamai hopes to change this. 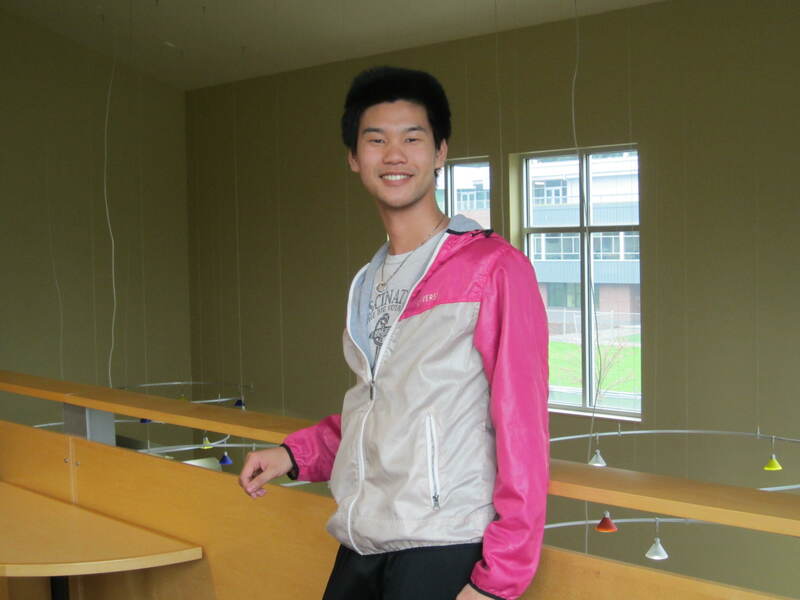 As an international student at Saint Martin’s, Shikou Tamai has learned valuable lessons about English and American culture that he looks forward to sharing with fellow students when he returns to Japan.